The up-to-date generation of R410A inverter-driven multi-split air conditioning inherits Hitachi’s top-class technologies and excellent quality, improves the performance significantly. The compact modular combination modes greatly enrich its product lineup and simplify the transportation and installation work, realize ultimate flexibility. The series contain 6 outdoor units, from 8HP to 18HP, The biggest combination can reach to 54HP. Selecting the high efficient Central Air Conditioning with leading technology to save energy. Hitachi makes good use of innovation and optimization of every key technology to make the latest SET-FREE FSNA6Q series as a master of energy-saving. Energy conservation in central air conditioning can be carried out through the following two ways, even only effective coordination of these two could achieve the maximum energy efficiency. Management Energy Saving: on the premise of comfort in buildings, the objective of energy saving can be reached by constraints on behavior or improper operation adjustment of equipment. Technological Energy Saving: selecting the high efficient Central Air Conditioning with leading technology to save energy. Hitachi makes good use of innovation and optimization of every key technology to make the latest SET-FREE FSXN series as a master of energy-saving. SET-FREE FSNA6Q can handle a wide range of outside air conditions, thus extending the flexibility of installation space and climatic environment. A sub-cooling section in the heat exchanger of outdoor unit is designed to realize the first-stage super-cooling. 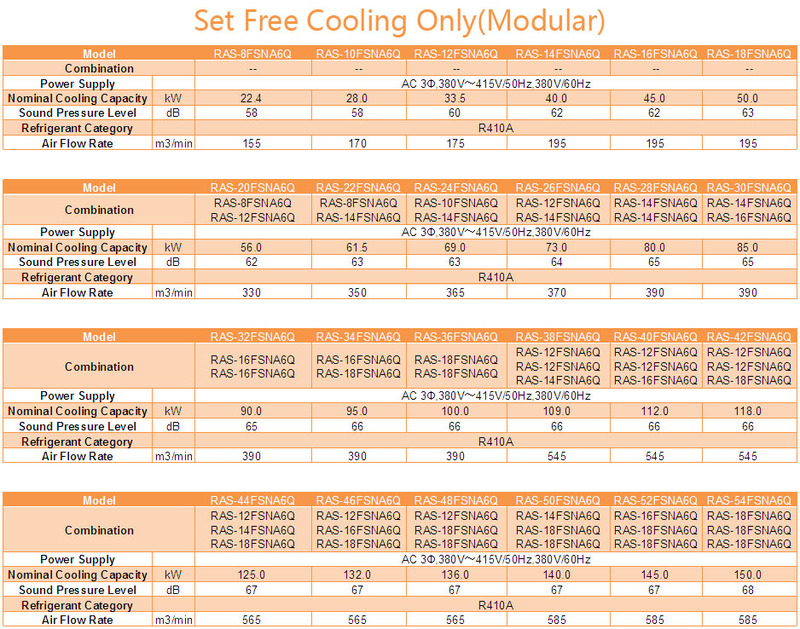 Furthermore, a high efficient recooler is applied to achieve the second-stage super-cooling. 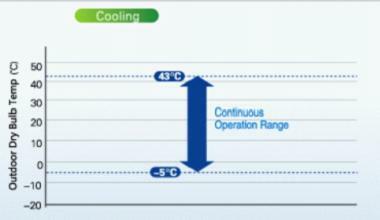 The total undercooling can reach up to 27 degree(taking 14HP as an example). Ease and flexibility of installation are further enhanced by adopting the outdoor unit’s lightweight and compact design. The elevator can be used to uplift the base unit (Max.18HP) separately. 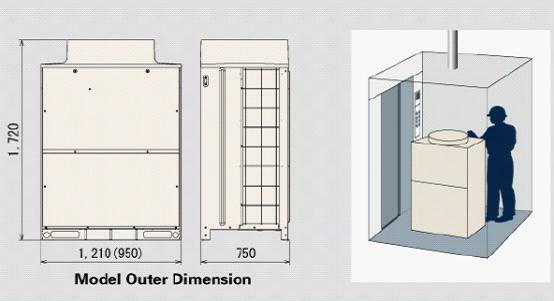 Wide capacity range of outdoor units enables free model combination relating to the actual condition of building. 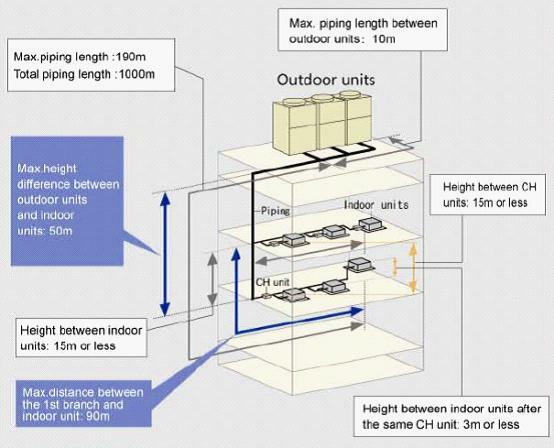 There are 96 models in 10 types of indoor units for selection. Planner can choose appropriate type and capacity of indoor units according to interior decoration and functions.